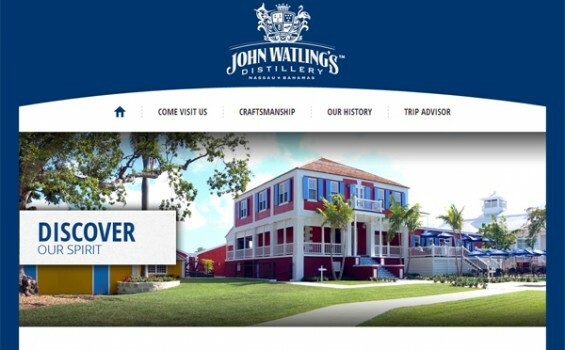 Bahamas New Destination: John Watling’s Distillery! Following the recent restoration of the John Watling’s Distillery, they came to us in need of a web developer to design their website right from the start. Looking to drive traffic to their physical location, they knew the value a polished website would deliver them. Working together we developed a homepage to highlight their beautifully restored estate and introduce their product. The website was developed on a WordPress backend and continues to be supported by IWD’s ongoing maintenance and support.